Sausageroulette - Food, Drink, Photography, and other things. The German Market is in full swing in Birmingham and I am still using the random number app to choose my lunch. 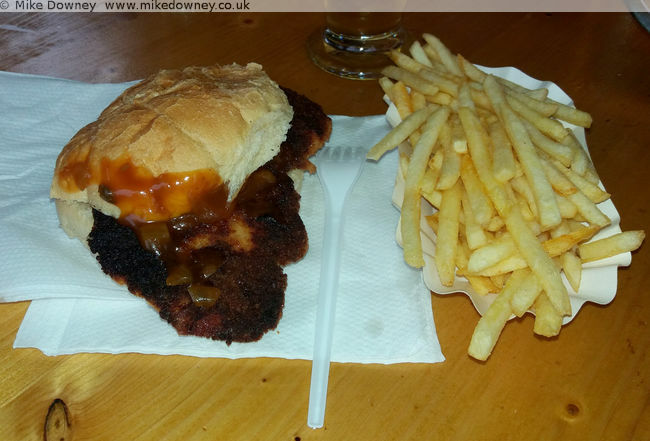 The dice took me to a schnitzel stand which offered a choice of different meats. I let the dice decide and came away with a chicken schnitzel. I also got some chips to go with it. I had asked for the mushroom sauce and I think they gave me the curry sauce but it was still good, and went well with the schnitzel. The choice was a bit easier this time. The dice chose the half-metre bratwurst stand so I didn't have any extra choices to make. I didn't let the dice choose my condiments, I added half ketchup and half mustard. 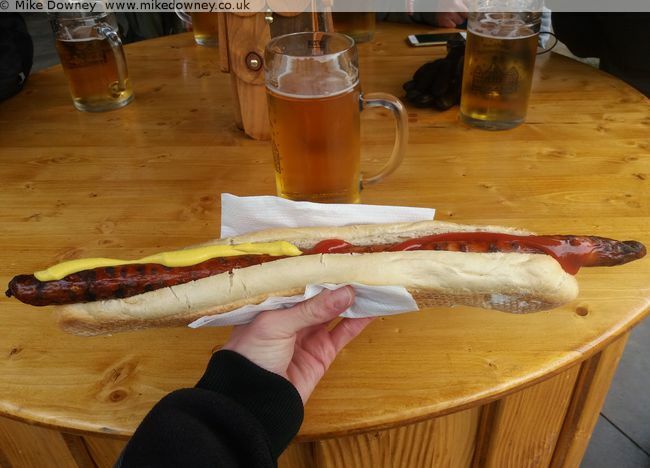 The sausage was fine but the bread was a bit chewy. Although it looks a lot of food, I still felt hungry afterwards.